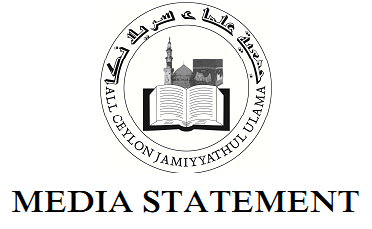 The All Ceylon Jamiyyathul Ulama (ACJU) in a media communique‚ yesterday said that Islam strictly prohibits humiliating other religions and while enforcing to respect the other religious clerics. 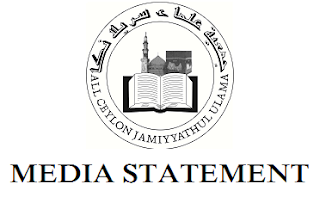 The ACJU denounced the Muslims who demean other religions or religious scholars since it is against the Islamic teaching. Islam is a religion that enforces social reconciliation. Therefore, it does not recognise any activity detrimental to the social fabric.Islam preaches that Muslims should avoid creating hostilities between religions and respect other faiths. If any anti-Islamic strategies are initiated by any force, Islam does not encourage encountering back by the similar manner. Islam teaches that evil has to be encountered with goodness. It also exhorts that when pointing out any fault to use wisdom and adopt a soft approach, to avoid hurting the feelings of others. Islam strictly prohibits humiliating other religions while enforcing to respect the other religious clerics. We strictly condemn writing, speaking and using social media contradicting to the above Islamic teachings. We strictly denounce that a Muslim expressing his thoughts in a manner demeaning the others' religions or religious scholars, which is against the Islamic teachings. Furthermore, we strictly condemn all activities humiliating Islam, Muslims and the Holy Quran, while requesting the government to take needful action against those who get involved in these types of unlawful activities.If the government does not take appropriate actions to stop this menace it will take our country and its citizens towards negative results. The government also should take initiatives to identify the activities created to widen the relationship between the communities and do the needful to prevent them. Furthermore, in order to settle matters concerning Muslims’ Affairs, it requests the government to consult the leadership of Muslim religious and civil societies for better outcome.